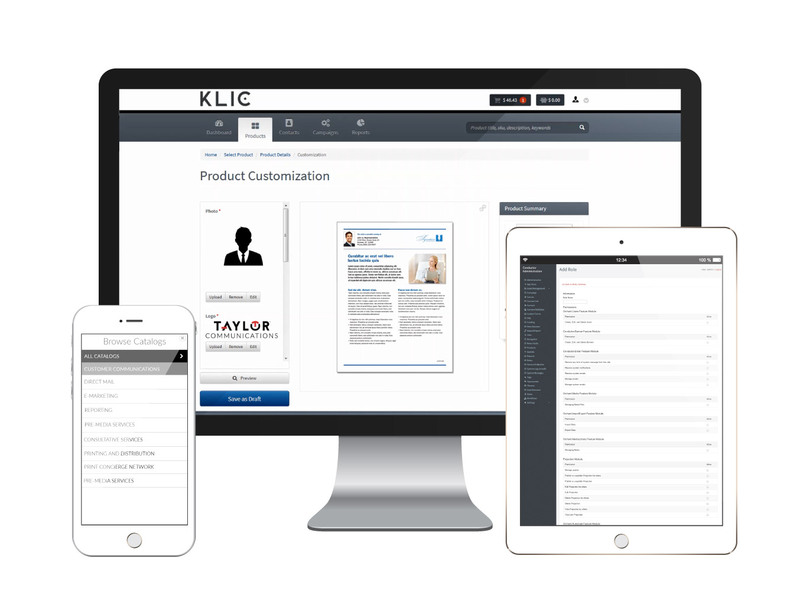 KLIC helps you create a competitive advantage, enhance revenue, and increase value by connecting sales to marketing. 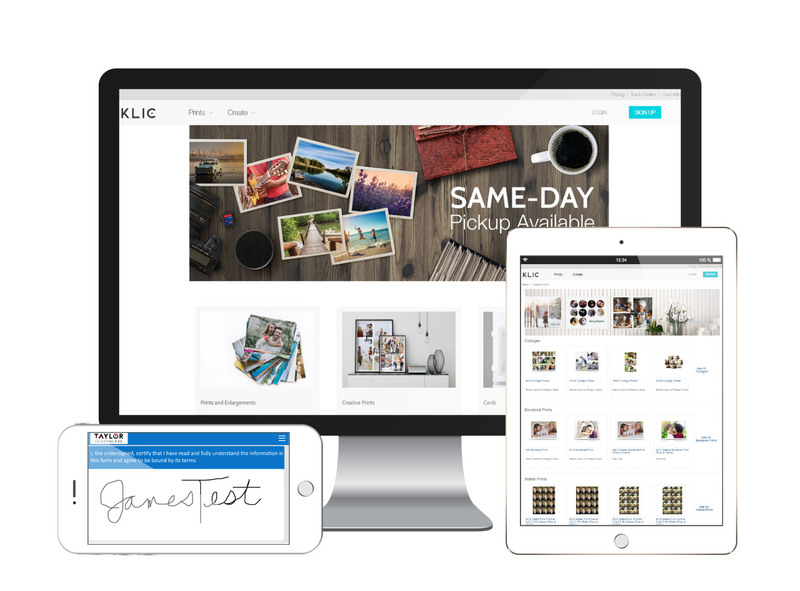 Our multi-channel marketing automation platform gives your internal staff and/or field sales access to marketing materials as well as robust reporting tools, allowing you to control branding and messaging while maximizing cost efficiency. 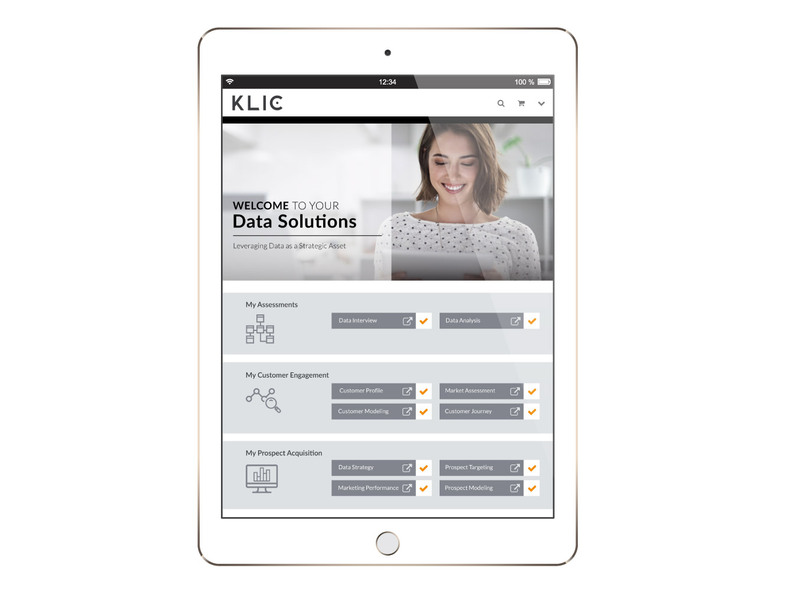 KLIC manages and analyzes your current customer data to yield impactful and actionable insights related to prospecting and customer cross-sell initiatives. 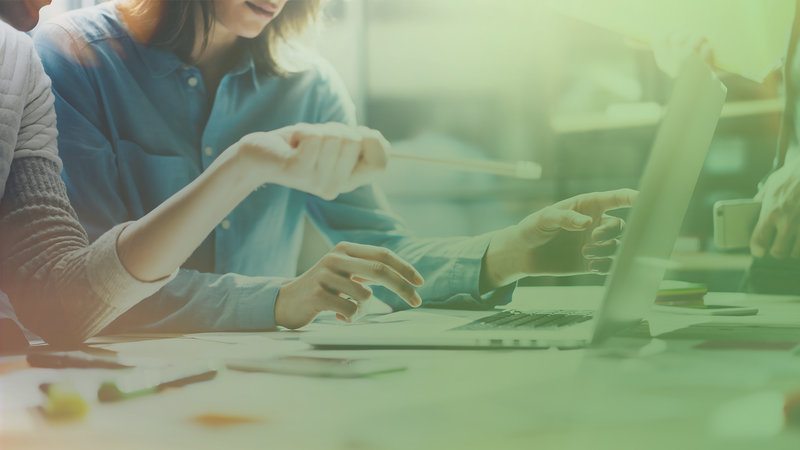 We offer a combination of Data Sourcing, Analytics, and Multi-Channel Communication expertise that will optimize your bottom-line marketing performance while driving desired engagement rates. Use your customer data to learn about how to improve targeting, communications channels, and engagement rates. Cleanse and enhance your data for faster and more thorough decision-making. Use our advanced Neural Net Modeling tools to target more effectively to dramatically increase the performance of your marketing initiatives. Through our global network of technologists, we offer a wide range of professional services and tools supporting all solutions at Taylor. We will help you define, build, and execute a technology strategy tailored to your business and market. We offer products and services within our B2B Platform, Custom Development, and Creative Technologies. Explore how we define, build, and execute technology strategies tailored to your business and market.